Ever had a great idea for a product? Something that you believe will be a smashing success but you just couldn’t do it because you didn’t have the money? You’ve heard this story one or more times already I’m sure. Big companies sometimes don’t want to invest in something that’s “unproven” or if it doesn’t go well with their company vision mumbo jumbo. Well, there’s this thing going on and it’s supposed to address this need. Kickstarter is a website that lets people like this try to get funding for their projects. Here’s how it works. Say this game developer has a great idea for making a cool boardgame. He can create a pitch video then go to Kickstarter and create a “project” there. He then has to indicate how much he needs to be able to make that project. In this case let’s say $80,000 (It’s optional whether the developer will tell you how he will be spending the $80,000). 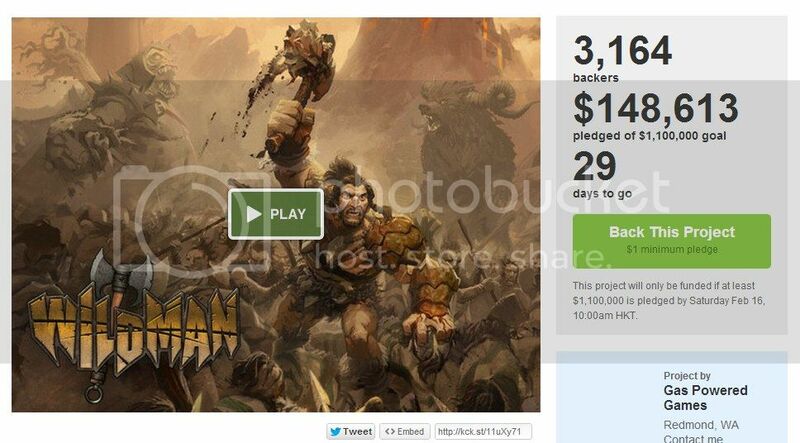 So Kickstarter gives this project 30 days to try and get funding to “kick start” their project. It’s up to the developer to try and get the word out to people so they back his project. As the consumer, you might ask, “so what’s in it for me?”. And answer is that developer will set up different tiers on what you get depending on how much you pledge to pay. For example, for $30 you would most probably get a copy of the board game, then for $100 he gets the game and a signed poster. The rewards sometimes can get crazy, I’ve seen one where, for $5,000 you get to have dinner with the developers. If within the time period they reach their funding goal, then everyone who pledges has their credit card charged. If they don’t reach the goal, then the project is a failure and no one will get charged for their pledges. There have been great success stories in kickstarter in 2012. FTL which I wrote about here started out as a kickstarter, they eventually sold their game via Steam where they have enjoyed great success. On the flip side, there have also been some failed projects. There was one wherein it got funded, but poor project management caused them to use up all of their funding and not having enough to finish the project. they are now looking for more funding to fulfill their commitments to the folks who backed them. You must remember that when you back a project, you are being “promised” a product. There is no contract that binds the developers from giving you a finished product. This is one of the gray areas in this whole kickstarter business. It’s largely based on trust. 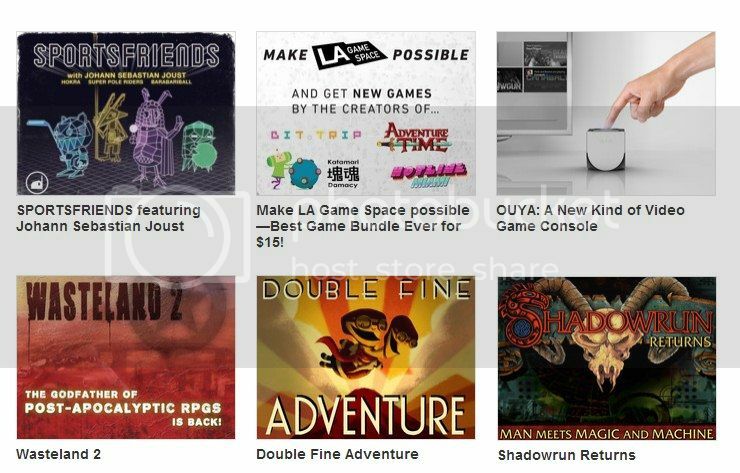 Kickstarter doesn’t just do games. It also does movies, arts, food, photography, fashion, and more. So far I have backed 6 projects: 5 games and 1 gaming console. I haven’t received any yet since all of their completion dates are in 2013. Overall, I think this is a pretty good idea. Great products like FTL couldn’t have been created without it. I look forward to seeing more creative ideas come out from this.